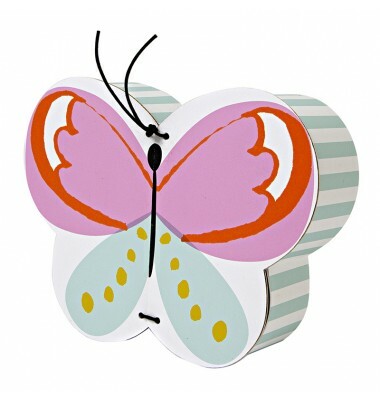 Filled with the splendor of summer and decorated with the brightest colors this pretty butterfly stationery set is filled to the brim with delightful note cards, envelopes and a sticker sheet containing lots of butterflies. 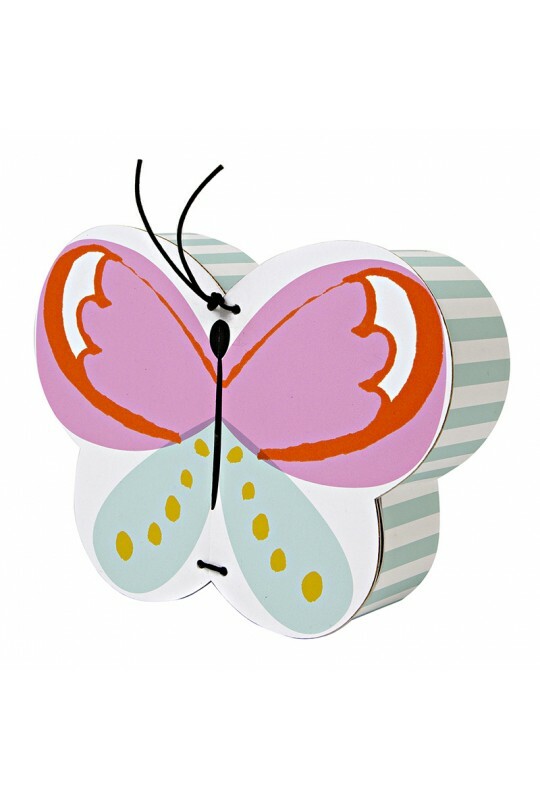 The beautifully crafted presentation box is created from high quality card and is embellished with waxed string which doubles up as two antennae. Each wing opens to reveal the contents inside. 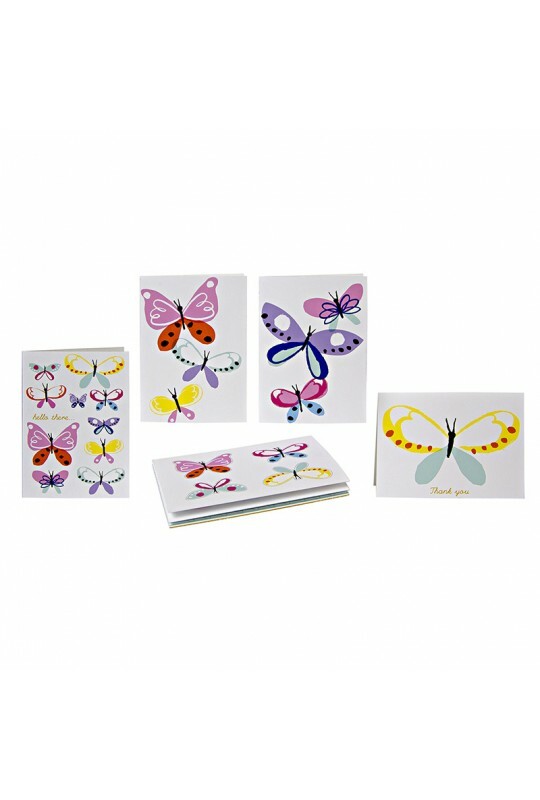 Stationery set contains 24 note cards in 4 designs, 24 envelopes in a single design and a concertina folded sticker sheet.